book now for the 2017 season! 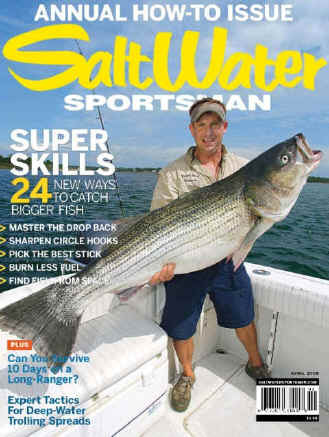 (By The Way, that Striper in the pic is a 55 pounder!!). Inshore & Offshore Live Bait, Light Tackle & Fly. You may have to sign up to view it, but it's FREE!! 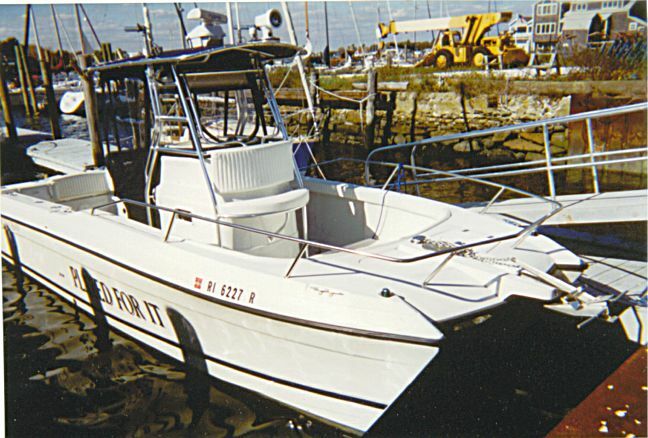 Captain Neal Vitullo has been fishing the waters of Narragansett Bay, Block Island, Buzzards Bay and points south for over 25 years. For ten of those years, he has been a consistent top producing charter captain. So whether you fish inshore or off shore in your quest for the fish of a lifetime, Captain Neal's experience will do the work to put you on the fish. Capt. 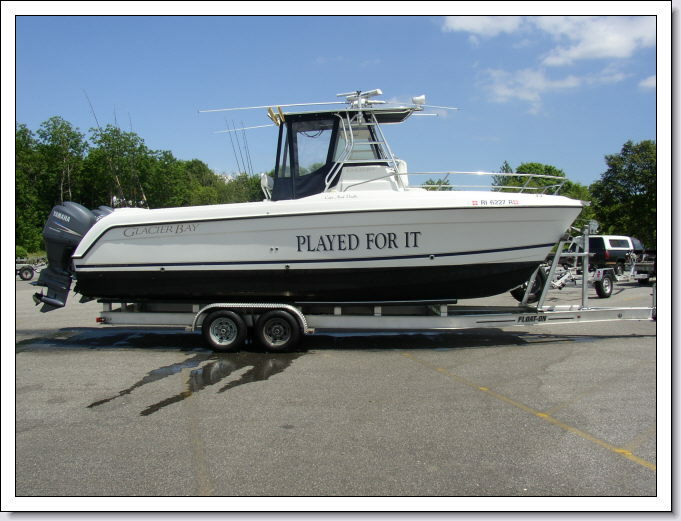 Neal invites you aboard the "Played For It", a 26 foot Glacier Bay Catamaran powered by safe and reliable 150 hp Yamaha four stroke outboards that will cruise safe and smooth at up to 26 knots. Less time cruising means more time on the fish!! 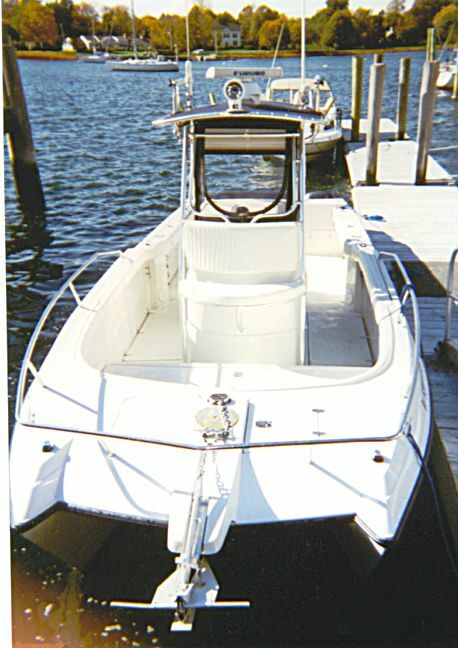 "Played For It" has 360 degrees of fishability and for added comfort the catamaran design gives the best and most stable ride in her class. Equipped with state of the art electronics: Radar, Wass G.P.S., 2 VHF Radios, EPIRB, Fish Finding Sonar and of course there's always a cell phone on board. 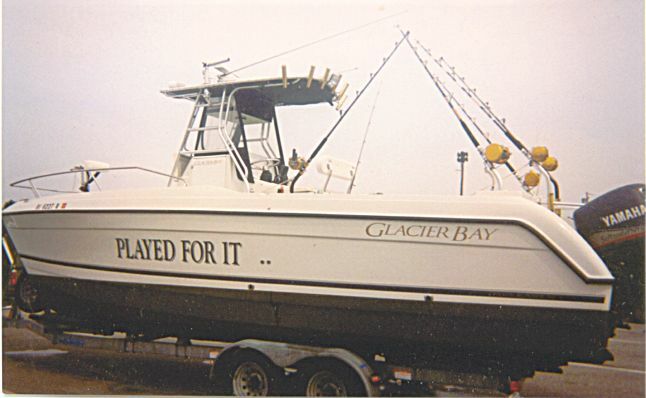 "Played For It" meets all Coast Guard requirements for charter and passenger carrying. Sailing from May to November. 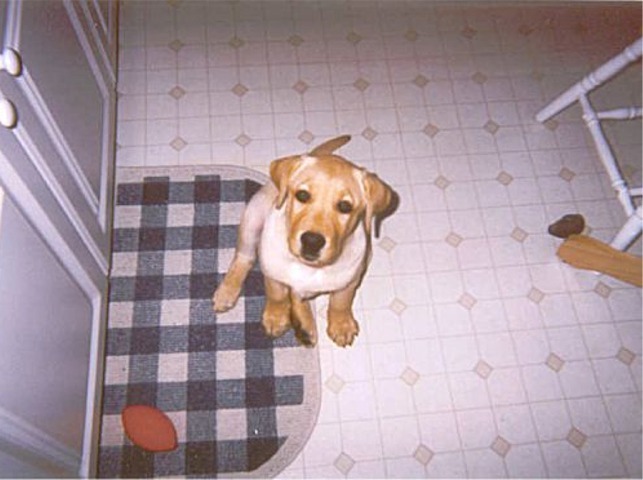 To contact "PLAYED FOR IT"
"PLAYED FOR IT's" Yellow Lab mascot "Buckey"
Click to enlarge Buckey's pictures. That's the same rug in both shots! !